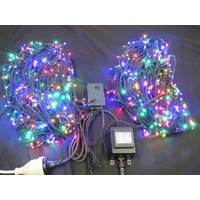 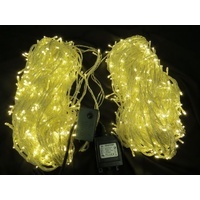 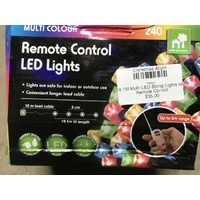 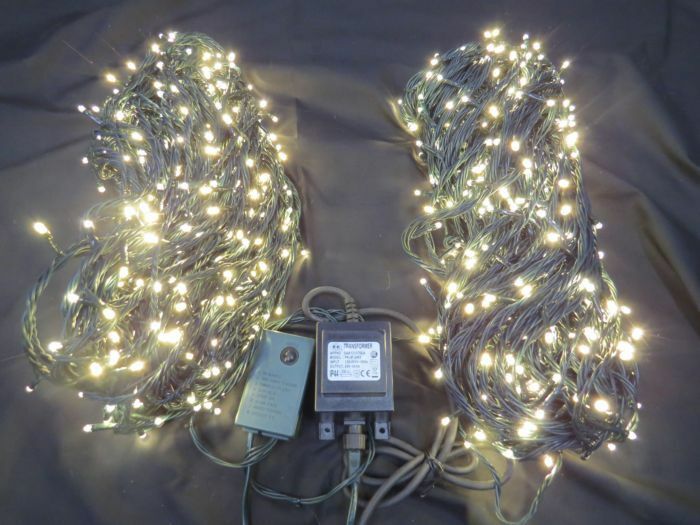 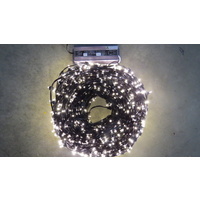 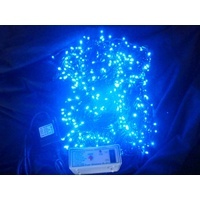 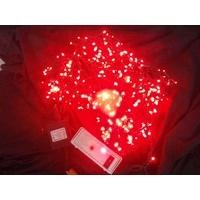 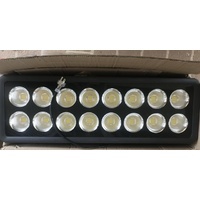 1000 warm white LED bulbs on a green wire with a 8 function memory controller with 24V approved transformer - indoor or outdoor use. 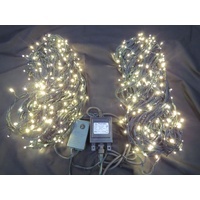 The transformer and controller is in the middle of the set with 50m running left and 50m running right each with 5m of lead wire. 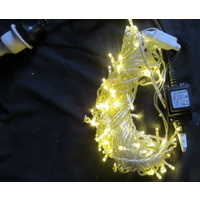 2mm thick PVC wiring - 1 year warranty.